Are you interested in doing business in Eritrea? Are you interested in taking a trip to Eritrea? Are you of Eritrean heritage and living, working or visiting Cleveland or Northeast Ohio? Submit your Cleveland Eritrean news and events. Submit your Cleveland Eritrean organizations and resources. Submit your Cleveland Eritrean jobs, classes and other opportunities. 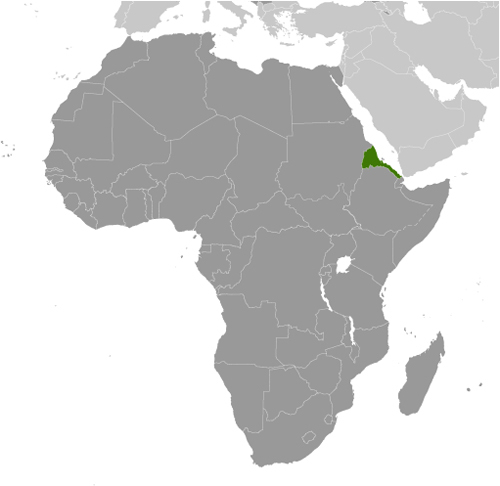 After independence from Italian colonial control in 1941 and 10 years of British administrative control, the UN established Eritrea as an autonomous region within the Ethiopian federation in 1952. Ethiopia's full annexation of Eritrea as a province 10 years later sparked a violent 30-year struggle for independence that ended in 1991 with Eritrean rebels defeating government forces. Eritreans overwhelmingly approved independence in a 1993 referendum. ISAIAS Afworki has been Eritrea's only president since independence; his rule, particularly since 2001, has been highly autocratic and repressive. His government has created a highly militarized society by pursuing an unpopular program of mandatory conscription into national service, sometimes of indefinite length. A two-and-a-half-year border war with Ethiopia that erupted in 1998 ended under UN auspices in December 2000. A UN peacekeeping operation was established that monitored a 25 km-wide Temporary Security Zone. The Eritrea-Ethiopia Boundary Commission (EEBC) created in April 2003 was tasked "to delimit and demarcate the colonial treaty border based on pertinent colonial treaties (1900, 1902, and 1908) and applicable international law." 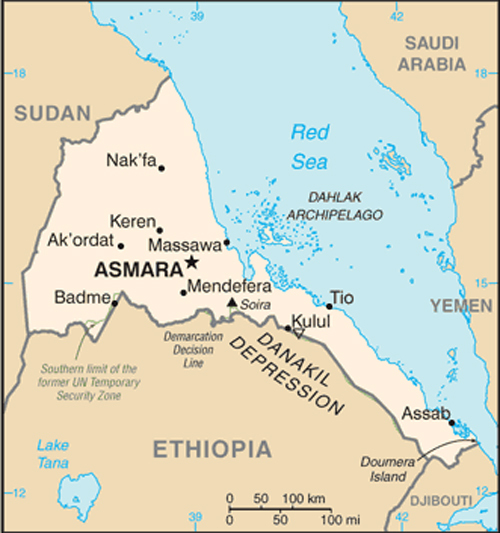 The EEBC on 30 November 2007 remotely demarcated the border, assigning the town of Badme to Eritrea, despite Ethiopia's maintaining forces there from the time of the 1998-2000 war. Eritrea insisted that the UN terminate its peacekeeping mission on 31 July 2008. 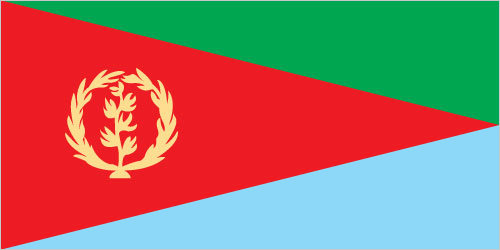 Eritrea has accepted the EEBC's "virtual demarcation" decision and repeatedly called on Ethiopia to remove its troops. Ethiopia has not accepted the demarcation decision, and neither party has entered into meaningful dialogue to resolve the impasse. Eritrea is subject to several UN Security Council Resolutions (from 2009, 2011, and 2012) imposing various military and economic sanctions, in view of evidence that it has supported armed opposition groups in the region. Tell us about the music, food, holidays, traditions, costumes, language and other qualities that makes people from Eritrea so special. Submit your Cleveland Eritrean cultural items. Read more about the Eritrean and other Ambassadors. If you are interested in being considered to be an official ClevelandPeople.com Ambassador to the Cleveland Eritrean community, please contact us. If you want to reach the Eritrean community in Cleveland and Northeast Ohio, please contact us.